What better way to start the new year than with a new writing project? 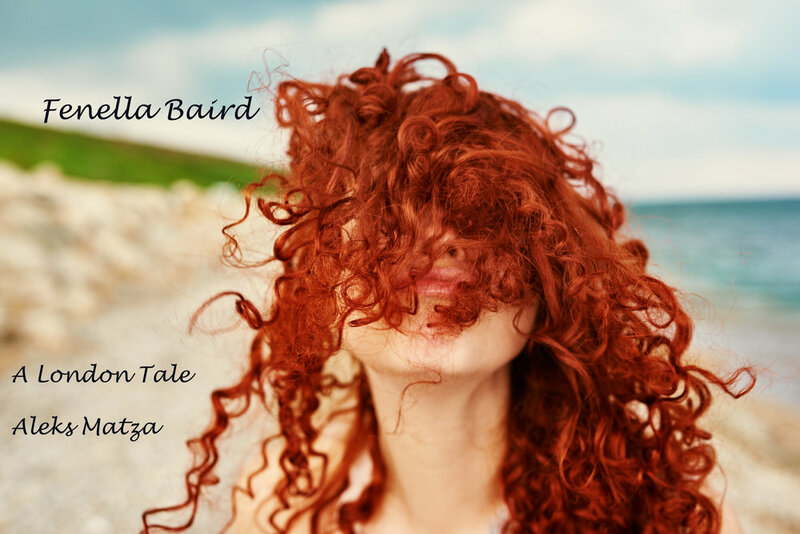 As I continue working on my short story collection and one-act plays, I welcome Fenella Baird: A London Tale to the manic mix of my madness. As you can see from the cover, this novel will have a lighter and more comedic tone than The Lost Chord, so stay tuned for updates as the story progresses. Credit to Orla and iStockPhoto.com for this beautiful image, and my thanks to Kelly B. for her thoughts and support! When I entered The Lost Chord in the 2018 BookLife Prize contest it occurred to me that I had a manuscript but no cover, so I quickly threw one together. If you scroll down this page a bit you can see it. I think this cover is a vast improvement! Boudica: Historical Commentaries, Poetry, and Plays is once again available on Amazon for Kindle E-readers. I have updated the link on the My Books page, so clicking on the cover will now take you to the correct location. Happy Reading! My thanks to BookLife Prize for their wonderful review of my novel The Lost Chord. I am honored by your consideration and kind words! Fiction is never truly fiction. At various points in a narrative, whether within a conversation, place, description, character, or detail, the author leaves behind a bit of themselves. Some may be obvious to us, especially for past writers whose life stories are well known, but others are subtle, a knowing wink or an in-joke from the author that may never be known except by the readers it was intended for. What they share, of course, are memories—useful lies that give storytelling the illusion of reality and common experience. What makes memories so effective in writing is that they’re faulty to begin with. In The Lost Chord, my narrator addresses this very issue by asking, “Had I colored the past so much that I no longer remembered what it was really like?” And therein lies the truth I encountered while writing this novel. We self-edit to suit our emotional and spiritual needs and often embellish memories with new details that never existed when it suits us. Nostalgia plays its part, as does wishful thinking, but in the end we mold and utilize our memories—especially in fiction—to give us a sense of control. Or so we think. True Story: While writing The Lost Chord I took a break for an extended period to work on other projects. I do this quite often, this shifting of gears, to let in some fresh air. This did not suit my three main characters—classical musicians—at all, since I left them back in the 1980s without their instruments and nothing to do. What followed was a dream in which the three strolled freely along the streets of Old Town in Chicago, complained loudly about my abandonment of them, and then discussed where they thought the story should go next. Without me. So—I have a memory of three people I created, based in part on my memories of musicians I had known, who hijacked and fleshed out my memory of a place that appears only briefly in the story for their own purposes. I got the hint and returned to my writing. So much for control. Rascals. If this seems an odd diversion it’s to point out that a single memory does not exist in a vacuum. One triggers another, then another, then another. Making sense of them within the framework and context of a story that begins forty years ago carries with it responsibilities and liabilities. What memories I chose to use had to serve the narrative arc even if, in reality, they began and ended quite differently. To remain true to the characters, they had to be further altered to either support their backstories or justify their personalities and behaviors. And then they had to be tweaked to keep the story in motion. That scene with the concert performance? It’s absolutely true in my fictional universe as my fictional narrator remembers it, but my real memory of the event was most likely misremembered and sketchy on details anyway. Voila! Useful lies! Novels are so ubiquitous in our society it’s difficult to imagine life without them. Hardcovers, paperbacks, CDs—one click will bring them to your doorstep, computer, tablet or phone. Book clubs and blog sites bring together like-minded aficionados and public readings are more popular than ever. What’s not to like about a good story? Diabolical, indeed. Novels were seen as deleterious to Britain’s rigid class system. The dubious merits of reading for amusement and instruction? “It has been well observed, that the reading of novels is to the mind what dram-drinking is to the body,” announced the periodical, the Miniature. And who could disagree with the novel’s harmful effects upon women, singled out as being the most susceptible to the dangerous thoughts that sensational prose inspired? 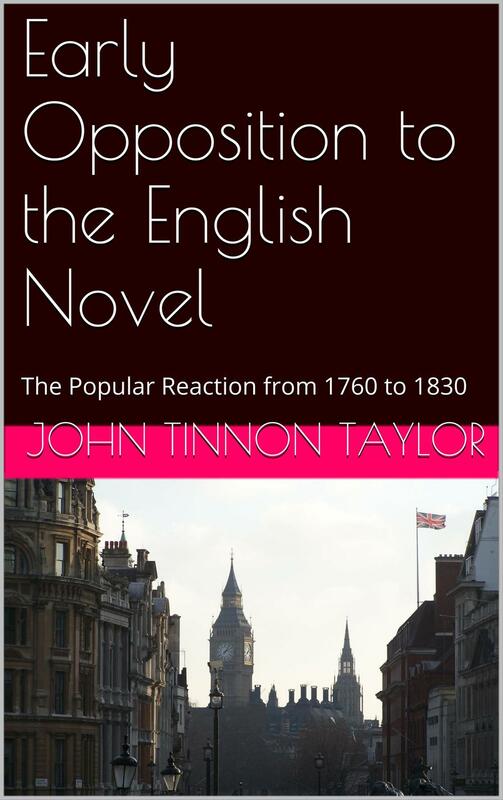 What exactly was it about novels that caused such hand-wringing and pronouncements of doom? The concept of the novel had been around since the days of the Greeks and Romans. Cervantes’ Don Quixote, generally recognized as the first European novel, was published in 1605. Though widespread public education had yet to take hold, people were well familiar with folktales and epic historical narratives. The novel should have been considered a logical progression. We’ve come a long way since then, gentle reader, and good for us that there are always new ideas and new corners of the world to discover. Still, the next time someone asks, “Why are you reading that?” be sure to smile knowingly. You’re in good company. In AD 61, the proud and noble people of Albion, long under the yoke of Roman oppression, rose up in open revolt, their leader a passionate and imposing presence enflamed to action by personal tragedy. After a series of victories over their masters—and freedom within their grasp—the rebels were crushed in a final battle, and their beloved leader, rather than suffer the humiliation of capture and certain death, committed suicide and passed into legend. Nineteen and a half centuries later, the story of the British warrior queen Boudica continues to fascinate and inspire scholars, artists, writers, poets and devotees of Celtic culture. Military commander, Druid priestess, barbarian—all of these are fictions and inventions that take as their source a single account written by a Roman decades after the fact and unknown to the rest of the world until the Renaissance. What Cornelius Tacitus was able to gather (as he had never set foot on the island) came primarily from his father-in-law Julius Agricola, who first served as tribunus laticlavius in Britain under Suetonius Paulinus at the time of the uprising, then later as the island’s military governor. Even so, Tacitus left us with a host of unanswered questions, and whatever information was available to him at that time has been lost to us. Even so, the facts as laid out by Tacitus get right to the point. Upon the death of Prasutagus, Boudica’s husband and king of the Iceni (a tribe occupying southeast England), the Roman procurator Catus Decianus negated the king’s will (leaving half of his kingdom to the Emperor Nero, the other half to Boudica and her daughters) and imprisoned or made slaves of the royal household, the homes and possessions of the Iceni confiscated. Boudica was publicly whipped in front of her own people and her two daughters were raped. Amassing an army of warriors from the Iceni and other tribes, Boudica led a rampage of terror, destroying three towns and killing 70,000 Romans and their allies in the process. The military governor—Suetonius Paulinus—rushed back from his western campaign to wipe out the Druids on the island of Anglesey (also called Mona), but was only able to muster 10,000 soldiers in a desperate final defense. Faced with overwhelming odds, Suetonius nevertheless won the day, and Boudica ended her life rather than be captured and paraded through the streets of Rome. The Romans would remain in Britain for 350 years. This is the history of Boudica and Rome as we know it. But what if Boudica had won? By uniting the Celts, defeating the Romans and successfully defending England from further invasion, could Boudica have rewritten the history of Europe itself? The aftereffects of the rebellion were so devastating that it took ten years before the Romans could even attempt any further expeditions and conquests in the Isles. Celtic casualties were massive, some 80,000 according to Tacitus. Famine and the possibility of another uprising were so pervasive that Rome’s hold on Britain was tenuous at best, so much so that a new governor and procurator had to be installed to re-establish peace and stability. This was no small undertaking and required tremendous resources. Back in Rome, Nero’s success in defeating Boudica would be one of his few. Seen as a corrupt tyrant, Nero was accused of engineering the Great Fire of Rome in AD 64, the Pisonian Conspiracy of AD 65 nearly deposed him and the First Jewish War of AD 66 threatened Roman power in the Middle East. Nero’s eventual suicide in AD 68 sparked a civil war, and the Year of the Four Emperors (Galba, Otho, Vitellius and Vespasian) left Rome in chaos. So let’s play with this and see where it goes. Boudica annihilates the Roman presence in Britain. Nero has not only lost more than 10,000 troops, he has lost an entire country. Uniting the Celtic tribes, Boudica commands the coast, making a counteroffensive costly and impractical. Emboldened by Boudica, rebellions flare in Hispania and Gaul, challenging Roman authority. Britain is abandoned (Nero, by the way, briefly contemplated doing so before the rebellion). By the time Vespasian takes power in AD 69, eight years have passed and Boudica has fortified a vast expanse of the island against any foreign invasion. Over the next 350 years, the Celts of Britain and Europe push back against the Empire, reducing its borders and influence. Save for a few territories, Rome’s reign ends before the first millennium even begins. The countries of Europe revert to their pre-Roman days and Britain, now a purely Celtic culture, develops along a separate path worthy of its own speculation. Far-fetched? Perhaps. But history has shown us time and again that the future of a nation can be set into motion by a single event. What would England look like today if fortune had favored the rebels that fateful day, and what role would the Icenian queen have played on the world stage thereafter? Cut into the plinth of Boudica’s statue in London poet William Cowper’s line Regions Caesar never knew thy posterity shall sway predicted the fall of one empire and the rise of another. Boudica may have lost her rebellion, but the story of the terrifying woman who dared to bring the Roman Empire to its knees has prevailed. Are Big Cities No Longer Necessary? After the 2013 publication of my novella The Invitation—a dystopian satire of political correctness run amok in Chicago—I realized that I had inadvertently touched upon a larger issue. Call it an unintended consequence or a subconscious feat of misdirection, but it began to bother me that perhaps what I was really talking about amidst the madness of a society well on its way to a total meltdown was the idea of the city itself. Is Chicago, like other cities across the United States, past its prime? All cities change over time, but is there a tipping point when change feeds and accelerates entropy? Are big cities too big these days to be of any use? Are they even manageable? I grew up in a factory district in 1960s Chicago. There were factories everywhere, in just about every neighborhood. Chicago was truly a blue-collar town. The Chicago Board of Trade, Merchandise Mart and the bigger banks could be found downtown, but there were no mega corporations, mega chain stores or anything else mega for that matter. Neighborhoods were self-sufficient. You worked locally, shopped at mom and pop stores, self-policed your street, knew your beat cop and attended the nearest school. Chicago attracted rural inhabitants (suburban expansion had yet to firmly take root) with the promise of work and higher wages in a multitude of businesses, many of them family-owned. If you were a native and there was a field or profession you wanted to pursue, but there were no real opportunities in the city, you moved to another big city. Think of all those stories and movies of the country boy or girl who left the farm or small town for the excitement and adventures that only a city could provide. If you wanted to be a writer, you had to move to New York. If you wanted to be an actress, you had to move to Hollywood. If you wanted to be a musician, you played in the clubs known for showcasing and discovering new talent. If you wanted to be an architect, take your pick. Cities were once concentrations of the best and brightest and could be counted on for the latest innovations. Technology, for one. Writers can write and publish from anywhere. Many actors and actresses don’t even live in Hollywood. Musicians can create, upload and reach a global audience with their compositions through YouTube, Vimeo and other outlets. Why live in a high-priced closet to practice your art? For the prestige? Add to this the Internet, Skype, email, commuter rail lines and other conveniences, businessmen and women and professionals of all stripes can live in the suburb or town of their choice. Entrepreneurs, once dependent on pleading their case to bankers, can now make bankers come to them. Travel, certainly. We’re a mobile people, much more than our ancestors. We don’t even think about it; getting on a plane or hopping into a car is so second nature it’s just another way to get from here to there, and sometimes there turns out to be more appealing than here. Generations once bound to one place has become a relic of the past, and living in a city is no longer the sine qua non of one’s existence or credibility. Then there are economic and social considerations. The factories of my youth, of course, are gone. Some have been torn down, leaving empty lots, while many have simply been left abandoned. Chains have killed mom and pop stores. The manufacturing economy has been replaced by a service economy. Wages have stagnated or decreased. Taxes and fees have doubled and tripled. Crime has become more savage. Schools have closed. Infrastructures are crumbling. Most major cities are running major deficits. As of this writing, Chicago is over $63 billion in debt and its credit rating has been reduced to junk status. One need not look past Detroit to see where this is going. The museums, art galleries, concert halls and other venues that once defined the cultural life of big cities? These were built over a hundred years ago and reflected Western European values and experiences of the time. Those values have drastically changed. As demographics shift and places like Chicago continue to embrace sanctuary city policies that attract multitudes of immigrants with no knowledge of or appreciation for Western traditions, cultural institutions have had to rely on like-minded tourists and former city dwellers to survive, no matter how much they try to adapt to the demands of multiculturalism. And what would any discussion of big city life be without mentioning the absolute failure of government? Political corruption and cronyism, deeply ingrained in city halls across the nation, are so brazen that they barely elicit much more than a yawn by the local media. Enriched pols are too busy running their wards and districts like kingdoms, and even if they somehow manage to screw up so badly that they’re actually sent to prison…no problem! When they get out they announce their intention reclaim their old job. And people will still vote for them. Our cities are in retreat; in fact, there’s nothing a city used to do that cannot be done elsewhere. Neighborhoods have come to resemble economic and social war zones. Businesses and longtime residents, crushed by the demands of a ravenous system demanding more, are fleeing, leaving behind an ever-growing welfare state and insular cultures. In The Invitation, a dysfunctional Chicago has become so unwieldy and fractured that neighborhoods have been replaced by Ethnic Domains. In days past there were Irish neighborhoods, Polish neighborhoods, Japanese neighborhoods, etc., but the underlying assimilation of these groups into American life rallied even the most disparate groups around a common fidelity to their adopted homeland. My novella, in contrast, portrays these near-future domains as separate entities beholden to no culture but their own, an extreme Balkanization that renders a barely functioning city paralyzed in terms of achieving any collective goals. In writing this tale was I really that far off given what we’re witnessing on a daily basis? The present course is unsustainable. The tipping point has been breached. The question is whether Chicago, like other big cities, can ever be relevant again. What do you think? Do big cities still have a purpose?